This installation is made of two monuments. 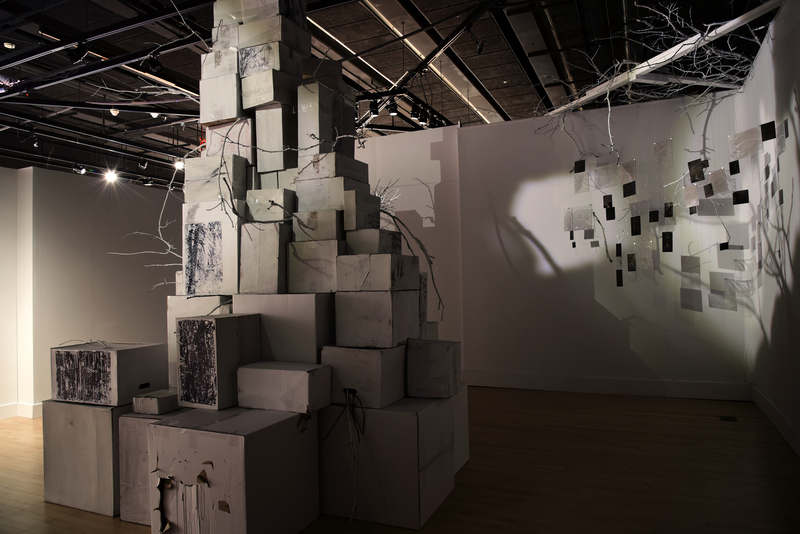 The first monument is the one in the center of the gallery with cardboard boxes. On the boxes there are photo transfers of different parts of trees and handwritten Persian Poems. This monument is a representing a mother tree. The second piece is an assemblage of tintypes and ambrotypes, an old technique of photography know as Wet Plate Collodion.